This quote is especially true of my loved, old, bear. Teddy bears are magical creatures who provide as much love as they are loved in return. 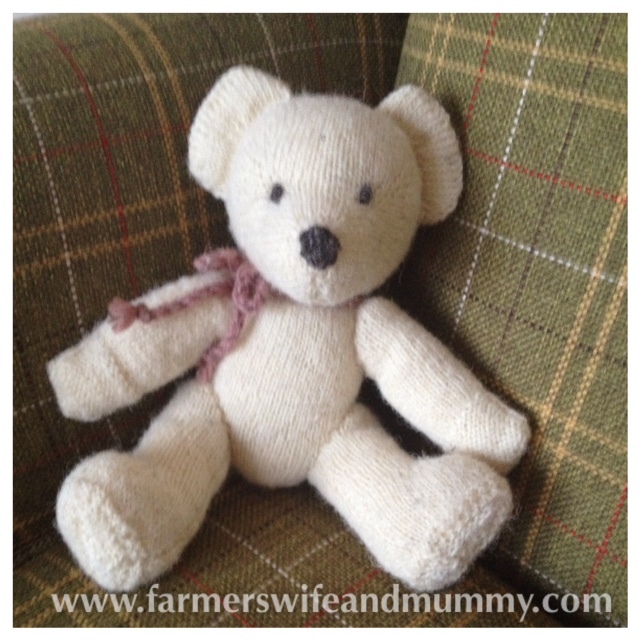 When the lovely people at What the Blazers found out I was expecting bump, they got in touch to see if I would like to have a look at one of their little bears to review. I have spoken before about my, much-loved bear and, the possibility of having a similar friend for bump sounded lovely. Diana Wood set up What the Blazers to provide a service to the public and selling something she had been practising for years-upcycling. 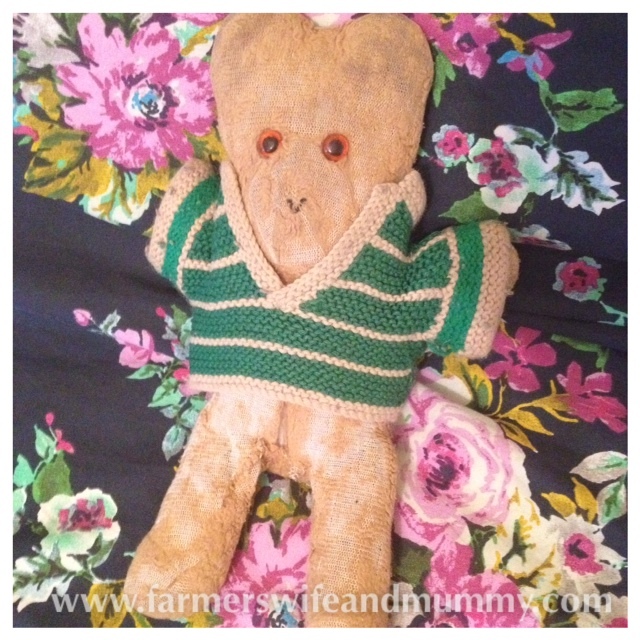 From turning school uniforms into cushions to beautifully hand knitted bears like the one sent to me, What the Blazers is the perfect place to treat yourself or someone you love. The bears are made from local, natural wool which is dyed naturally with whatever Kim, the creator, has in her kitchen. They are stuffed with lambs’ fleece when finished, 100 per cent natural, organic and suitable from birth. As the wife of a sheep farmer, this makes me love the bear even more. 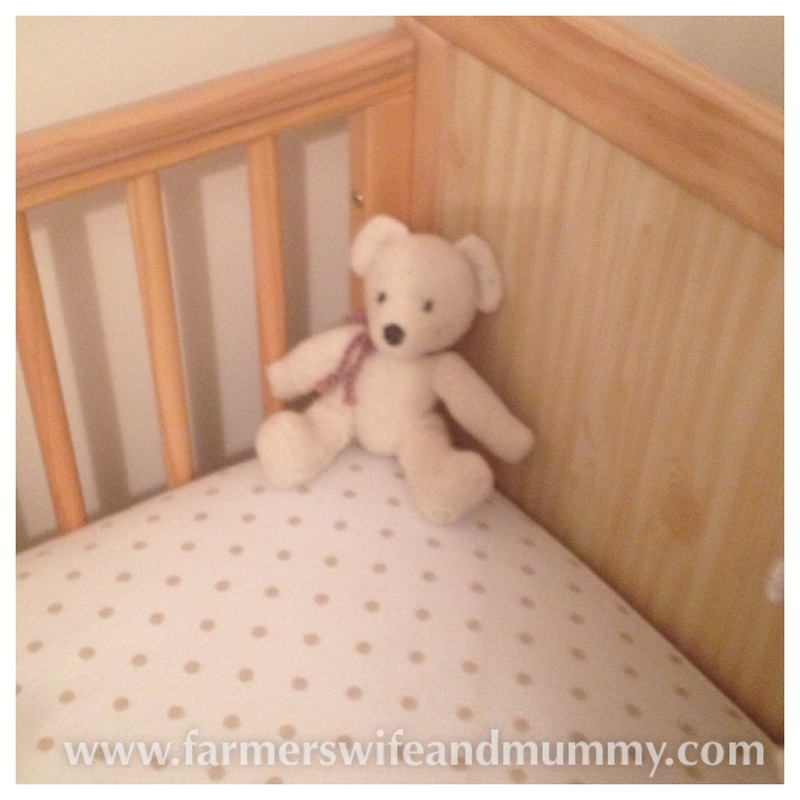 How lovely does it look in the cot? I am sure baby bump will love the little bear as much as I love mine and, as much as Boo loves Minging Minnie. I have some exciting news however. I have this lovely bear, worth £35 to give away as a lovely prize. All you have to do is fill in the rafflecopter below. *Please note I was sent the bear free of charge by What the Blazers for the purpose of this review. All opinions are my own. Aw isn’t he cute 🙂 Each of mine have a “special bear” that they like to sleep with. These bears look super cute!